Sustainability and seasonality don’t just apply to vegetables at Belcampo Meat Co., the feel good business from Anya Fernald and partner Todd Robinson. Their vertically integrated model for raising humane meat includes a ranch and processing facility near Mt. Shasta, in-house butcher shops, and restaurants. 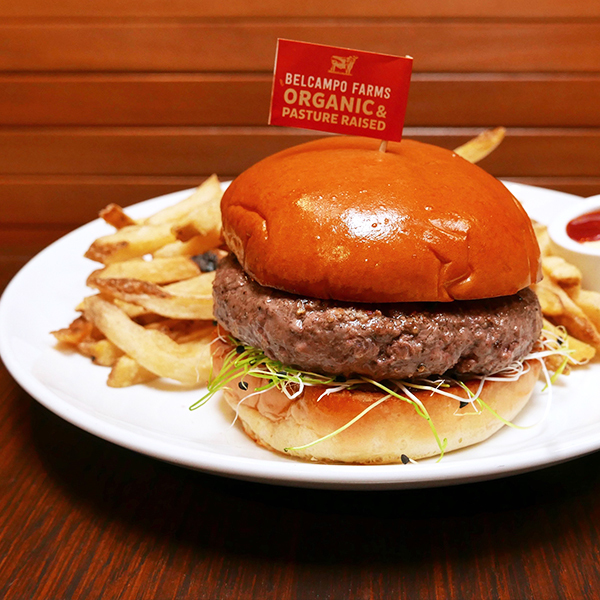 Belcampo’s lamb burger combines a beautifully seasoned half-pound patty of organic, pasture-raised leg and shoulder meat, umami-rich black garlic aioli, and onion sprouts on a brioche bun. Their beef burger is also worth a detour at this farm-to-table restaurant, and if you prefer funk, Belcampo serves a 100-day dry-aged burger with arugula, melted raclette, mustard aioli, and caramelized onions. They provide the option to add grilled chicken, seared sirloin and/or bacon steak to any salad, though kale salad or Caesar salad stand on their own. Dinner brings ambitious dishes like sizzling pork belly sisig and a daily selection of butcher’s cuts served with roasted vegetables. 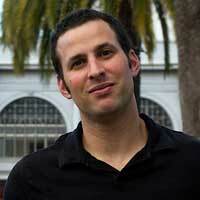 Josh Goldman keeps pace with seasonal cocktails and creative riffs on classic drinks. 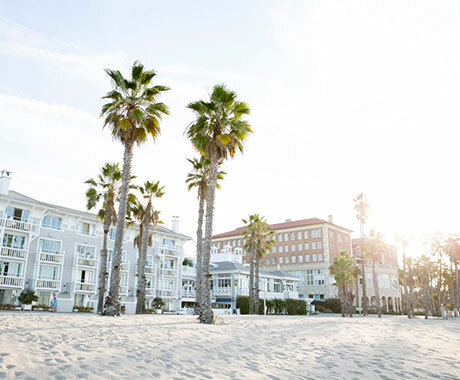 LGO Hospitality revamped a Santa Monica institution called Callahan’s to open Ingo’s Tasty Diner. Art rotates on the walls and the menu displays similar flexibility. The menu now divides into three categories: “Solid Arguments” (starters), “Necessities” (farm to table) and “Supper Club” (main courses). Popular comfort foods include deviled Mike & Sons Farm’s eggs dressed with goat cheese, pickled beet, toasted hazelnuts, and chives; Mary’s chicken soup with Santa Monica Farmers Market vegetables; and line-caught local halibut with haricot vert and lemon caper beurre blanc. 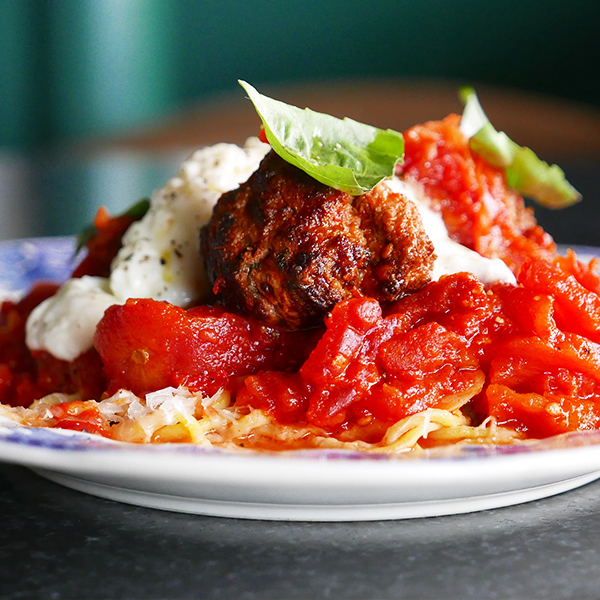 Ingo’s is also a great place for French dips and spaghetti & meatballs. Lunetta Dining Room & Bar is the higher-end half of a split concept from chef Raphael Lunetta and his Divide + Conquer business partners Daniel Weinstock and Mike Garrett that shares a kitchen with Lunetta All Day. Sweet lobster meat lent luxury to a Wintertime salad co-starring baby turnips, golden beets, white radicchio, and persimmon vinaigrette. Flatiron steak benefited from a wood grill, along with seasonal flourishes like a soft rectangle of mushroom polenta soufflé, braised little gem lettuce, and pink peppercorn sauce. 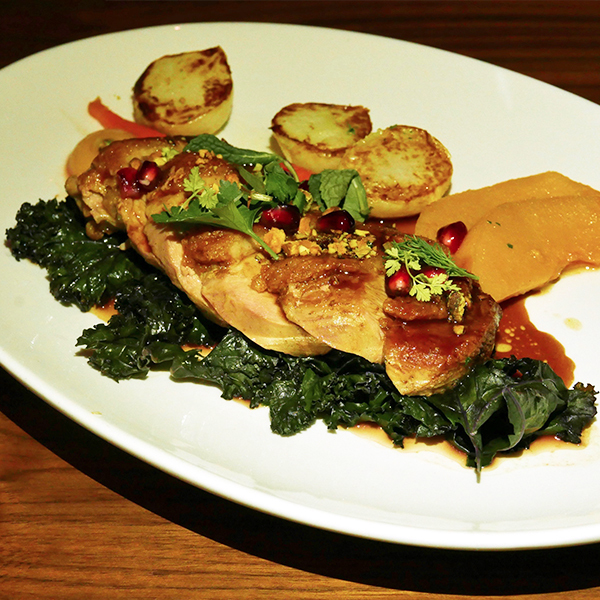 Pan-roasted duck breast played well with poached quince, sage, pistachios, braised baby turnips, mustard greens. Desserts aren’t necessarily market-driven, but we’d still suggest their surprisingly light sticky toffee pudding with vanilla ice cream, toffee sauce, and candied pecans. On The Verge Hospitality, a company from Westside Rentals founder Mark Verge, serves brunch daily and dinner nightly at Margo’s, a glass-fronted café on trendy Montana Avenue. Chef Tristen Villafane kept some of Margo’s standbys when he took over, and mixed in some fresh favorites. 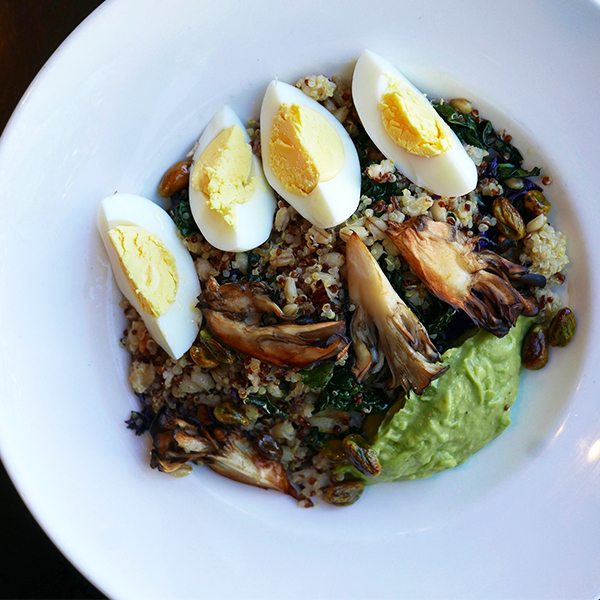 During the day, a Westside grain bowl deftly balances barley, bulgur wheat, white & red quinoa, avocado crème, sautéed Tuscan kale, roasted mushrooms, hard-boiled egg, and toasted pistachios. Oven-roasted salmon might come with a side of maitake mushrooms, miso-celery root puree, braised baby bok choy, and crisp kohlrabi salad. Sides rotate seasonally, so cross your fingers for Brussels sprouts with apple mustard, hazelnuts, and sage. Their “chocolate bar” is a rich, decadent dessert sporting a pretzel crust and plated with candied pistachios, toasted marshmallow, and salted caramel ice cream. 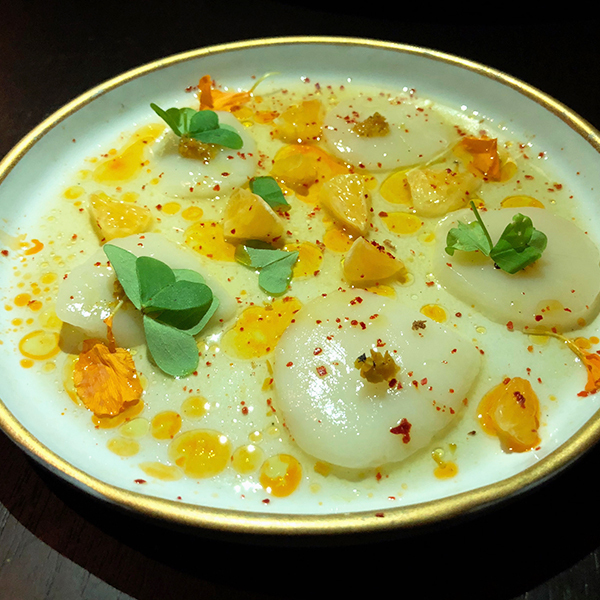 Michael McCarty’s storied, art-lined lounge, dining room, and patio dates to 1979 and carries a lineage that includes legendary chefs like Nancy Silverton, Jonathan Waxman, and Sang Yoon. Michael’s current executive chef Miles Thompson, a finalist for the 2018 James Beard Award for Rising Star Chef of the Year, has crafted a compelling, globally inspired menu. His dinner menu changes more than quarterly. 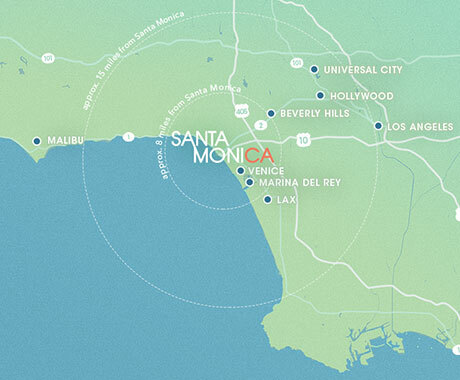 Ingredients are frequently made in-house and often incorporate Santa Monica Farmers Market produce. Buckwheat sourdough bread comes with toasted barley butter; and cavatelli hosts braised shiitakes, English peas, and Parmigiano-Reggiano. Oft-overlooked cuts like hamachi collar and pork collar also get rare attention, with the latter served with black olive honey, sprouting cauliflower, and pomegranate. For more than a decade, Rustic Canyon has been the most ambitious member of the RC Family, which includes Huckleberry, Milo & Olive, and more. Under executive chef Jeremy Fox’s watch, Rustic Canyon has become a truly exceptional seasonal dining destination. Fox does have a handful of signature dishes, which he’s been known to tweak. 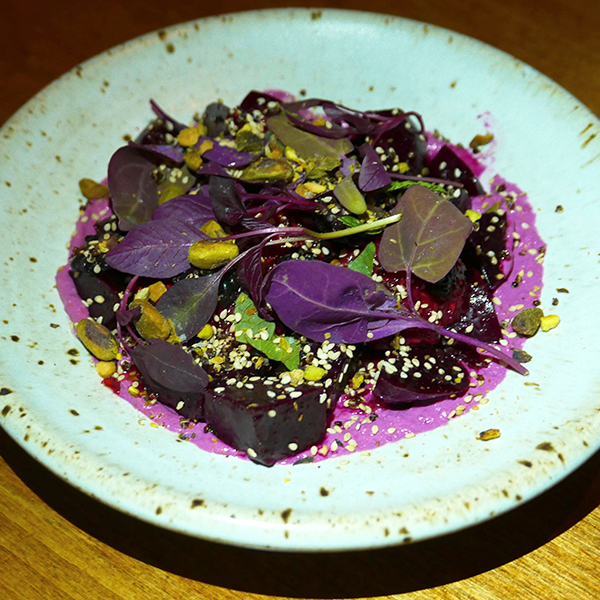 Beets & Berries is a beautiful plate of vivid purple beet hummus, quinoa, mint, amaranth & pistachio dukkah. Pozole verde is another modern classic, with plump Hope Ranch mussels, Rancho Gordo hominy, poblano & tortilla strips served in a piquant broth. Otherwise, seasonal produce and relationships with farmers dictate dishes at this farm-to-table restaurant. In winter, spaghetti squash got a rare spotlight, accented with anchovy, preserved lemon, guanciale, and egg bottarga, and buried under a blizzard of sharp shaved cheese. Even roasted chicken benefited from seasonal accompaniments: earthy Rancho Gordo bean stew, escarole, chile, and rosemary. Tar & Roses chef-owner Andrew Kirschner and GM/partner Johnnie Jenkins take seasonality so seriously that they even rotate the type of wood in their grill and oven. “What’s burning?” An X’d box at the top of the menu indicates apple, oak, almond, olive, or walnut. From there, it’s up to you whether you prefer snacks, small or large plates, veggies, or multi-person T&R suppers that require seven days notice and showcase proteins like wood-fired goat, standing rib rack or Singaporean chile crab. 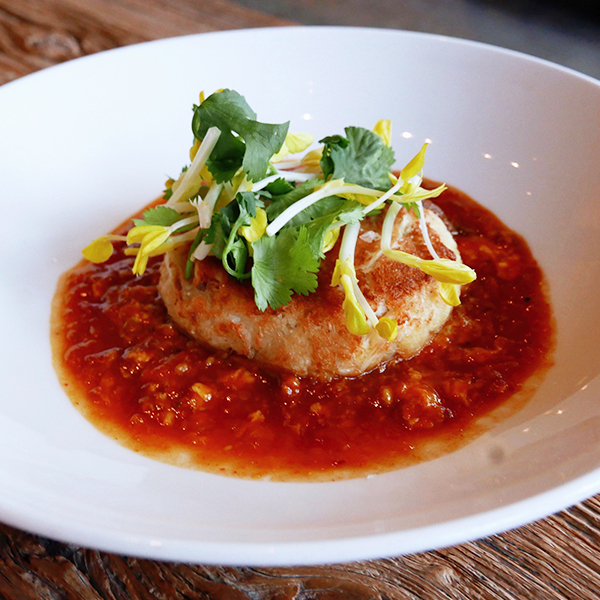 They also serve a standout Singaporean chile crab cake flavored with aromatics like lemongrass and ginger, topped with cilantro and golden pea shoots, and planted in spicy tomato-sambal-based sauce. Santa Monica native Kirschner is particularly skilled at preparing vegetables, whether it’s wood-roasted baby carrots with currants and chermoula crème fraiche, or King trumpet mushrooms with a soft egg and rosemary. In cooler weather, you should also consider venison loin served with wood-roasted Brussels sprouts, sweet potato, and sweet-tart huckleberries.